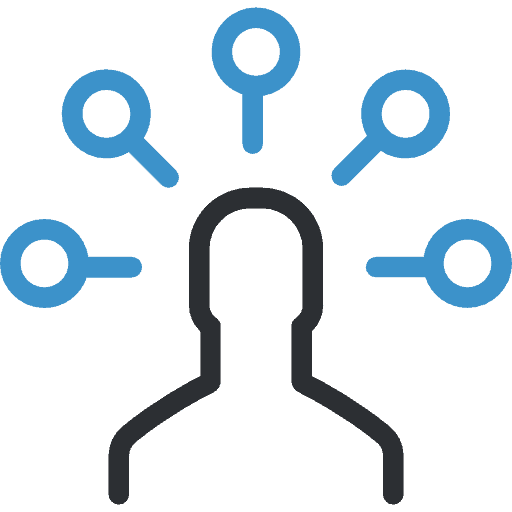 It's critical that you have a LinkedIn connection request strategy so that you quickly uncover qualified leads and optimize your future conversions. Control your own destiny... or somebody else will. Take ownership of what's rightfully yours so that others can't take it away from you. Put blinders on your prospects so that they give you 100% of their attention and never get distracted by your competition. 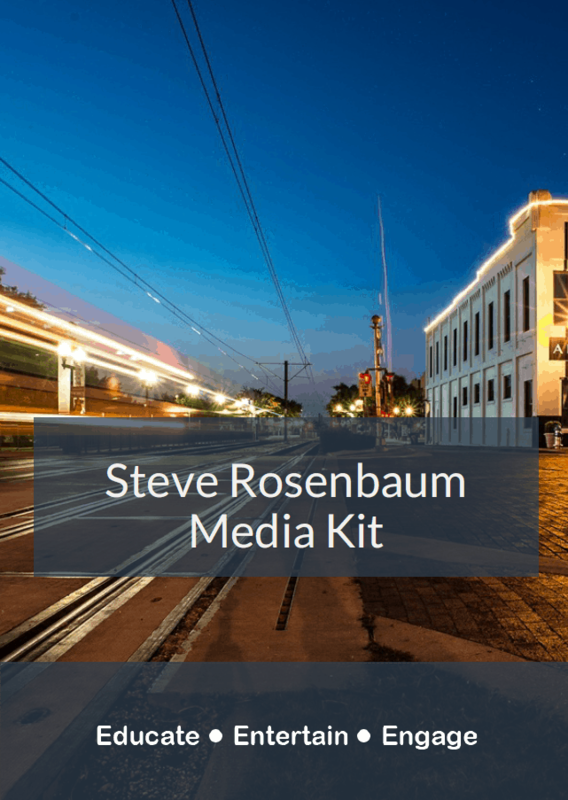 Gather intelligence and valuable information that will help you identify your hottest prospects so that you can close more deals in less time. Use powerful tools like Lead Scoring and Re-Targeting which give you a serious advantage over everybody else. Gain the edge over 88% of all other companies by employing one simple strategy. All of these advantages, and more, are yours for the taking when you "Capture the Home Field Advantage", which is Step 2 in my ConnectQualify process. But first, it's important that you've read and implemented everything outlined in Step 1, "Grow Your Connections". If you haven't, then go back and read it now. More than 2000 connections gone in the blink of an eye. (Sadly, he hadn't even protected himself the way I teach in ConnectQualify for LinkedIn 201, or he would have been able to immediately spring into action with a back up plan). Somebody that he had messaged and tried to connect with had reported his message as spam. Something completely out of his control and something that you and I are vulnerable to every single day when we try to meet new people and grow our network. Listen up... you must realize that when you use social media you don't own anything. You don't own your connections. You don't own your content. 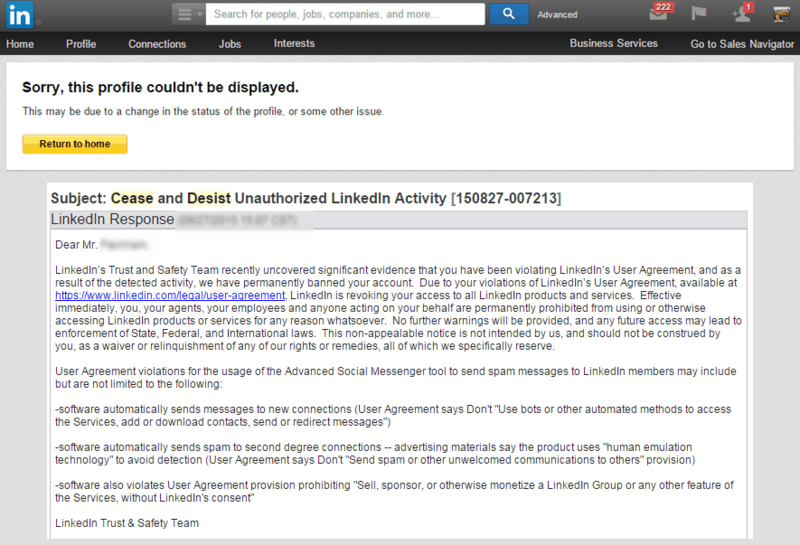 When you play on LinkedIn's turf, they can take the ball and shut you down at their very whim (and good luck trying to reach somebody to appeal their decision if that happens). That is just one of the reasons that it is so important for you to take the "Home Field Advantage" away from LinkedIn. The sooner you can seize the relationship and move it to your own website, or your own blog, or your own email account... the better. There are numerous ways to do this. After years of trials and split tests, I have perfected this process with my proprietary "LEAC Proof Funnel System", which is at the heart of ConnectQualify. LinkedIn currently has 433 million users and is still growing at over 18% per year. One thing you can be sure of is that all of your serious competitors, including ones that you don't even know, are trying to capture the attention of the very same valuable prospects that you are. All of your efforts. All of your favorite searches. All of your messaging, your status updates... Everything you do on LinkedIn to finally connect with those potential high-value customers and clients is at serious risk. There are so many distractions on a network so vast, that you literally have split seconds before you lose it all to the next timeline update. But when you swiftly and deftly move that relationship to your own site, you shut out the rest of the LinkedIn world! 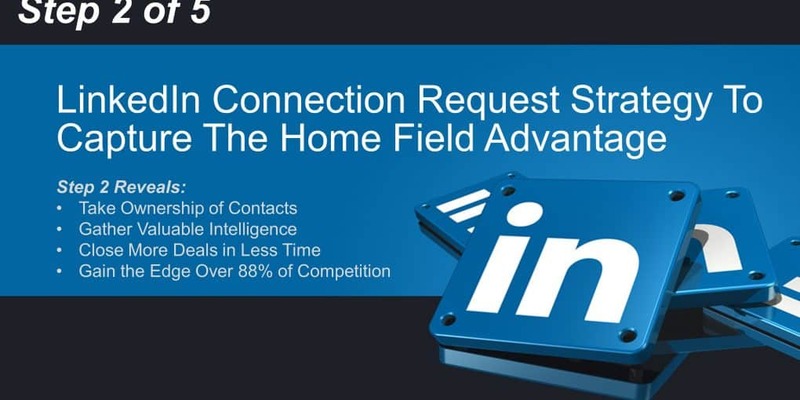 That is what "Capturing the Home Field Advantage" is all about and it is an essential step in your LinkedIn connection request strategy. When you do it the way I teach in ConnectQualify, you gain 100% of your connections attention... and nobody can ever take it away from you! If you don't currently have a blog, I suggest you set one up immediately. Post your updates there. Capture people's attention on LinkedIn and quickly move them over to your blog which is your Home Field. Have you ever wanted to be a fly on the wall so you can hear the conversations that reveal your ideal prospects' real hot buttons and level of interest? One of the biggest secret advantages that most sales people and marketers overlook today is the ability to track activity of your prospects once you capture the Home Field advantage. For instance, if a prospect reads an article about "Product A", then you can "Tag" them and follow up with a message specifically about that product. You can also direct them to qualification questionnaires like my "RWA Qualifier" that extract valuable information such as budget and decision making processes so that you know this valuable message before you even meet to close the sale. Armed with this information, you become like a trial attorney that never asks a question that you don't already know the answer! Once you get people over to your Home Field, you can also unleash even more advanced tools. You can use "Lead Scoring" to increment the value of the contact for each action they take. The higher the score, the hotter the lead. When you apply "Lead Scoring" to your daily activities, it's easy to quickly filter out people that are "Ready, Willing and Able" to buy from you right now so that your closing percentages explode through the roof! And if you advertise, you can skyrocket the ROI of your ad-spend by dropping "Re-Targeting" pixels and ramping up your ads to your "Custom Audiences" that have already demonstrated interest in your product. "Re-Targeting" is a very advanced and sophisticated technique that you've seen used by companies like Amazon. Once somebody visits your page, you're able to follow them around the net so that your ads appear everywhere. This technique makes your company look much bigger and gives you a lot more exposure which often leads to much higher conversion rates. Yet because your ads are only targeting your most interested prospects, your effectiveness and ROI increase greatly. Of course, you're not able to do any of this on LinkedIn or any other social media site. These powerful techniques are only available to you when you "Capture the Home Field Advantage" the way you will learn to do in ConnectQualify 201. Two recent studies of buyers and sales people uncovered some amazing statistics. First, the study of buyers showed that over 80% of their purchase decisions came after the fourth contact from a company or sales person. In the second study by Dartnell Corporation, it was discovered that fewer than 12% of the sales people had systems and processes in place to contact prospects more than 3 times. 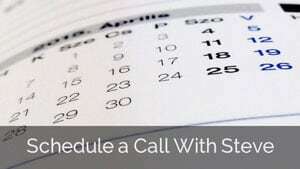 Amazingly, fewer than 12% of the sales people had systems and processes in place to contact prospects more than 3 times. That means that if you want to gain a significant advantage over 88% of your competitors, simply follow Step 4 and Step 5 of ConnectQualify where I show you exactly how to "Ignite the Relationship" and "FollowUpForever™" so that you tastefully and continually contact your prospects and never let another valuable lead fall through the cracks. I can't go into all the details of "Ignite the Relationship" and "FollowUpForever™" in this short post, but I will cover them in an upcoming post. Plus, you will see exactly how I do it and what I say in ConnectQuaify 101 and ConnectQualify 201. In this post, you learned exactly why Step 2 of your LinkedIn connection request strategy is so important and why you must "Capture the Home Field Advantage". Be on the lookout for my next post, where I will tell you about a friend of mine that was drowning in new leads, but was unable quickly identify the hottest and most qualified ones that were "Ready, Willing and Able" to buy from her right now. You'll hear all about it when I introduce you to Step 3 of ConnectQualify, "Filter for RWA".